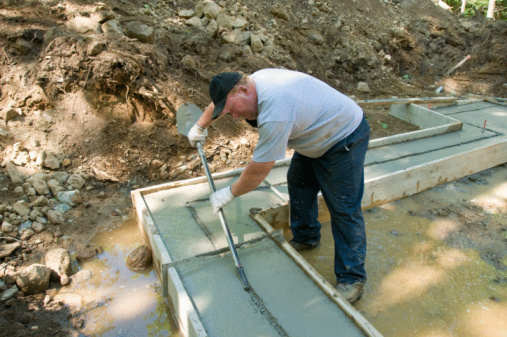 Cheap and versatile and easy to pour, concrete will last you years down the road. You can pour it just about everywhere—including on the grass. Although it takes a little work, pour concrete over grass to create that walkway you always wanted or that mowing preventative you could previously only dream about. Prepare the grassed area of your property by tilling the ground. This will uproot all of the existing grass, along with and weeds and other plants that might inhabit your soil. 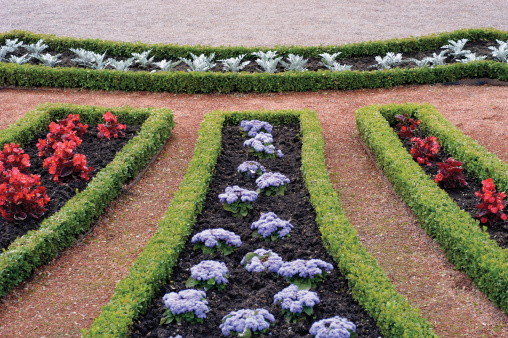 The more tilling, the better; make the plant pieces as small as possible so they do not grow back and cause damage to concrete that covers them. Prepare your concrete by slowly mixing water with your dry concrete. Use a shovel to fold the mix the concrete into the water. Continue to add water until the mix becomes pliable without looking like concrete soup. Pour your concrete into the forms, and smooth it out with your concrete trowel. For an extra-smooth finish, dip the trowel into water and smooth out the top. Remove the forms the day after you pour.